Restaurant, retail supplies ads in Melbourne. Thank you for visiting our free advertising website Restaurant, retail supplies, Melbourne section. We provide high response free classifieds and free advertisement. Use our online free Restaurant, retail supplies classifieds placement system to find, list, offer Restaurant, retail supplies online! Italian Restaurant & cocktail bar offering some of the traditional Italian dishes presented in a modern way in a modern and industrial space. 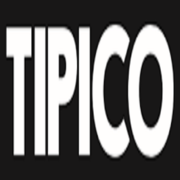 Website: https://tipico.melbourne/ Phone: 03 9089 0768 Email: info@tipico.melbourne Address: 242 High Street Windsor VIC 3181 Australia. Aagaman Restaurant can provide you with a comprehensive range of function catering services in Melbourne to make celebrating your special event a breeze. With an extensive range of delicious menus to cater for any occasion and budget, we provide function and event catering services that focus on taking the stress away from our clients. Spirit of India was established in 1998. A restaurant is owned and run by a chef par excellence Mr. Raghbir Singh along with his wife Ms. Jaspal Kaur. Spirit of India, an old and finest restaurant in South Melbourne, Australia ensures at all times that the highest standard of food & service is delivered. Are you thinking about hosting a cocktail party? If you’ve had one before, you know that a lot of hard work goes into making it all appear effortless. Book our cocktail party catering service in Melbourne and you’ll actually have time to spend with your guests, without worrying about the details..
Make your big day picture perfect with our wedding catering service in Melbourne. Our catering team can help to make your wedding amazing with our delicious food! Your dream wedding needs food that's not ordinary; we know you're not just looking for food, you're looking for a memorable experience. Get a free quote today call us on (03) 96769234. 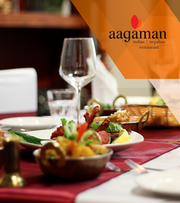 If you are searching “Which are the best Indian restaurants in Melbourne to eat Indian food that ventures beyond the realms of chicken tikka masala and lamb biryani, then Aagaman Restaurant is what you are looking for. We use only fresh and locally sourced ingredients.Book your table on (03) 9676 9234. Looking for Unique Birthday Party Catering Melbourne? A milestone or the first birthday of your toddler? Every birthday needs to be treated with celebration and joy. At Lala’s Kitchen, we make every birthday special with birthday party catering in Melbourne. With latest culinary trends and expertise, we ensure that the birthday party is a blast for the guests. Food, fun and frolic is an integral part of any function. While you are having fun, we take care of function catering. Shavan’s is a leading Indian restaurant in Melbourne offering professional catering services for a variety of functions like engagements, birthdays, weddings, baby showers or a corporate gathering. 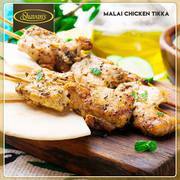 Indian cuisine has a distinctive flavour which has been a result of years of cultural mingling. Experience the diversity of Indian culinary at Shavans - one of the best Indian restaurants in Melbourne. We serve you a variety of Indian dishes picked up from every corner of the country. Know more about us: https://www. Are you looking for birthday party catering in Melbourne to celebrate your kid’s first birthday? Look no further! Lala’s Kitchen is one of the leading Indian restaurants in Melbourne offering catering services for birthdays. We prepare a special menu for kids that include a gamut of healthy and delicious dishes, at highly affordable prices. Looking For Authentic Italian Restaurant in Patterson Lakes? Join us for lunch or dinner at Michael Angelos for authentic Italian dishes and dining. 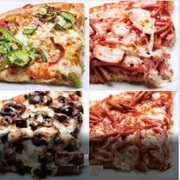 Check out our party pizzas and specials at https://www.michelangelos.com.au. We are your neighbourhood Italian restaurant in Patterson Lakes, serving family style Italian food. Book a table online or call us on (03) 9772 6999. Buy your favorite Indian sweets with a few click only at Baba Sweets online sweet shop. All types of sweets available for online purchase at the best prices..
Have you visited Swagath The Welcome yet? If not, you are missing on the best indian food Melbourne. We know the art of indian authentic cooking and make the finest of the indian preparations..
A restaurant is owned and run by a chef par excellence Mr. Raghbir Singh along with his wife Ms. Jaspal Kaur. Spirit of India, an old and finest restaurant in South Melbourne, Australia ensures at all times that the highest standard of food & service is delivered. The restaurant offers and known for mouth-watering dishes with a modern twist, add a dash of spice to one’s dining experience. Looking for the best delicious Pizza Takeaway Shop in Mernda? La Sera Pizza, Pasta & Ribs is ultimate destination for you. We have been serving fresh and tasty pizzas for over 15 years. We only use high quality and natural ingredients in all our sauces, toppings and pizza dough. We also offer the best pizza delivery in Mernda that will satisfy your hunger. Indian cuisine has a distinctive flavour, thanks to its cultural and geographical diversity. At Lala’s Kitchen, we have brought the unique and aromatic flavours from across India to Melbourne. We are one of the top Indian restaurants near Highett serving the best flavours of Indian cuisine. Enjoy your meal in an elegant setting and indulge in the alluring flavours of Indian dishes. When you enjoy delicious Japanese cuisine at Shou Sumiyaki in Vic, you'll notice that you are always served authentic recipes. We provide an excellent dining experience to share with colleagues, friends, and family. Visit us today and experience the difference. For more information about our Japanese BBQ seafood menu, visit our website or Call now: 03 9654 3933. With just a few days left for Christmas, it is time for celebrations. If you are looking for an elegant party venue for a corporate event in Melbourne, Lala’s Kitchen is a perfect choice! We have a spacious, elegant corporate party venue in Melbourne. With its pleasant ambience, Lala’s Kitchen is located at bay-side making it an ideal place for hosting official events and corporate parties. Aagaman Restaurant specialises in beautifully styled bespoke event and function catering in Melbourne. We cater for events large and small, from corporate catering, weddings, cocktail parties to Christmas dinner. For more information, visit our website or call us on +61 (03) 9676 9234..
With an experience of several years, Sazio, the new Italian restaurant in Blackrock is a great surprise. Our menu is born from delicious taste combined with unique flavours. This is our starter menu that has Antipasti dishes and salads with unmatched savour. Go through the restaurant dining guide and order online now. Celebrate your birthday in style! While you are busy preparing for your milestone birthday, we take all the hassles of catering! Lala’s kitchen is a leading Indian restaurant and has been providing birthday party catering in Melbourne. We serve delicious cuisine that will leave your guests delighted. Planning to eat at one of the best Japanese restaurants in Melbourne then you don't have to search long to find. Shou Sumiyaki is a modern Japanese restaurant specialising in only the highest quality Wagyu with the largest selections of Kobe Wagyu beef cuts specially imported from Japan. Let your senses take you on a culinary journey of authentic Japanese cuisine as you explore the various cuts of Wagyu and seafood prepared in our smokeless griller. Organising the wedding rituals and food catering can be a stressful experience for some because it's so important to get everything just right. Let our chef help create an unforgettable wedding experience you and your guest will cherish for a lifetime. We, at Aagaman, are committed to providing you exquisite wedding food catering in Melbourne and exceptional service. When planning for any event or celebration, our restaurant is here to take care of the tasty details. Gurkhas restaurant is leading event catering providers in Melbourne. Plan your next event with our professional catering team! Learn more Call now:03 9387 4666.. Located in Doreen, La Sera Pizza, Pasta & Ribs are a locally owned and operated pizza shop. We provide the best, excellent and delicious Pizza in Mill Park. We only use the fresh and quality ingredients. We offer Pizza Takeaway in Mill Park for pizza lovers. Locations We Serve: Doreen, Yarrambat, Mill Park, South Morang, Mernda, Yan Yean, Whittlesea, Eden Park, Woodstock, Arthurs Creek Order online or call us on 03 9715 2003 for delivery or pickup https://www. Australia free ads for Restaurant, retail supplies, Melbourne, Restaurant, retail supplies free ads Melbourne, Restaurant, retail supplies for sale Melbourne, Restaurant, retail supplies to buy in Melbourne. Find on this page free classifieds for Restaurant, retail supplies in Melbourne. This listing includes classifieds for sale and to buy in Melbourne. FREEADSAustralia Melbourne offers you a platform to post free advertisements or classifieds for Restaurant, retail supplies in Melbourne. FREEADSAustralia helps you search, find buy, sell, rent or hire in various categories like apartments, goods for sale, local services, cars , jobs and many more in Melbourne. If you posted an advertisement in category Restaurant, retail supplies of FREEADSAustralia Melbourne before please use Edit my ads button to change or cancel your ad. Restaurant, retail supplies Melbourne ads Melbourne, Restaurant, retail supplies classifieds Melbourne, Restaurant, retail supplies free ads Melbourne, ads for sale Melbourne, ads to buy Melbourne, FREEADSAustralia. Find here ads for sale, to buy and rent in Melbourne. Goods for sale in Melbourne, vehicles for sale in Melbourne, Melbourne real estate for sale, Melbourne property for sale, property for rent in Melbourne, business ads in Melbourne, Melbourne business classifieds, services in Melbourne, Melbourne services ads, jobs in Melbourne, pets for sale in Melbourne, Melbourne dating, Melbourne cars for sale.